Get the best deals on food for the Big Game this weekend! The Super Bowl is this weekend! I'm thinking of throwing some things on the grill and making it a partaay! 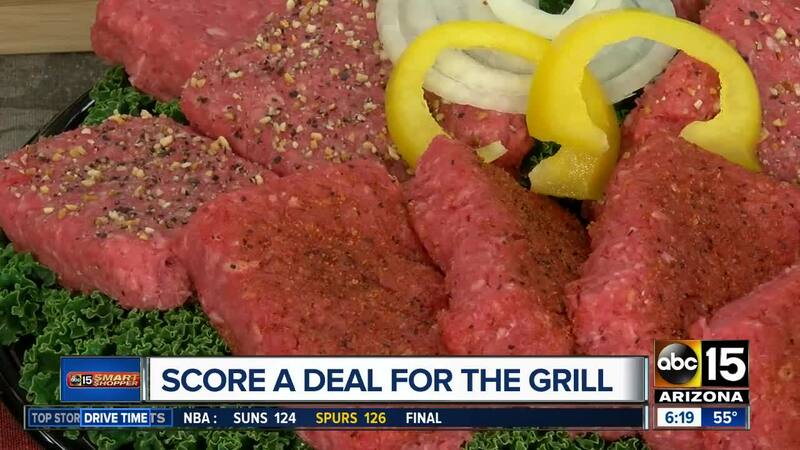 The timing couldn’t be more perfect because we have a Smart Shopper Deal of the Day that will take care of all of your grilling desires! The deal is with Von Hanson's Meats and Spirits. Here they have everything you need for a party, everything except the grill, that is. You'll find all sorts of high-quality and all-natural meats, including chicken, Certified angus beef, pork, and dozens of sausages and brats in all sorts of flavors. They also have a wide variety of charcoal and sauces. Plus there’s a whole section of craft beers and wine. Head over to the Chandler store on Thursday, January 31st, between 9 a.m. and 4 p.m. and get fresh brats for $1.99 per pound. Compare that to the regular price, $7.99 per pound. You will also score half off their beef sliders. The regular cost is $6.99 per pound. There is a limit of two pounds for each deal. 2390 N Alma School Rd.